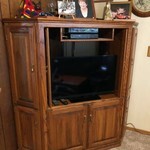 Solid wood entertainment center in great shape, like new. 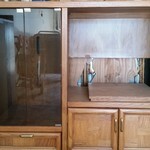 2 drawers for storage, left side leaded glass door opens with shelves inside. 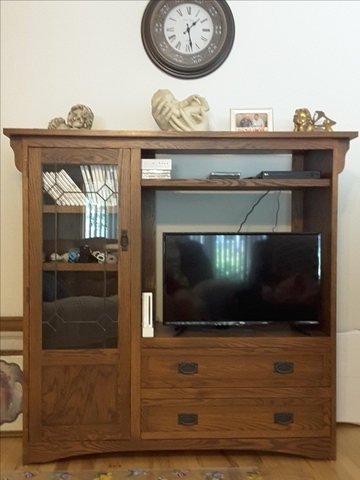 Shelf above tv is adjustable. 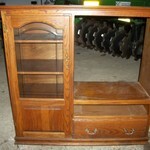 60 inches wide x 57 1/2 inches tall. 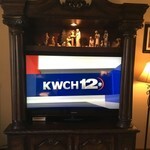 33 inch wide tv opening.